Powerful, elegant and comfortable, the all aluminium fast cruising yacht ZEN provides the perfect combination of performance and luxury. ​Enough space for suntan and sunshade with a swimming platform featuring an array of water toys. ​Built by Italian yard Arno in 2006, the​ 92′ Leopard has proved herself as a fun and luxurious superyacht that fuses speed with beauty. 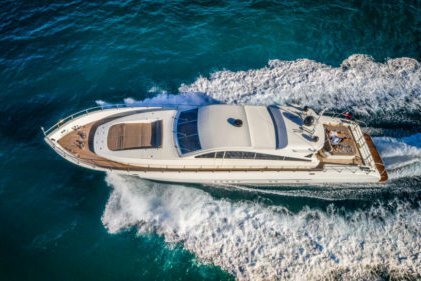 Those with a need for speed will be impressed by her cruising speed of 36 knots and maximum speeds of up to 42 knots, powered by her twin 2,185hp MTU diesel engines. 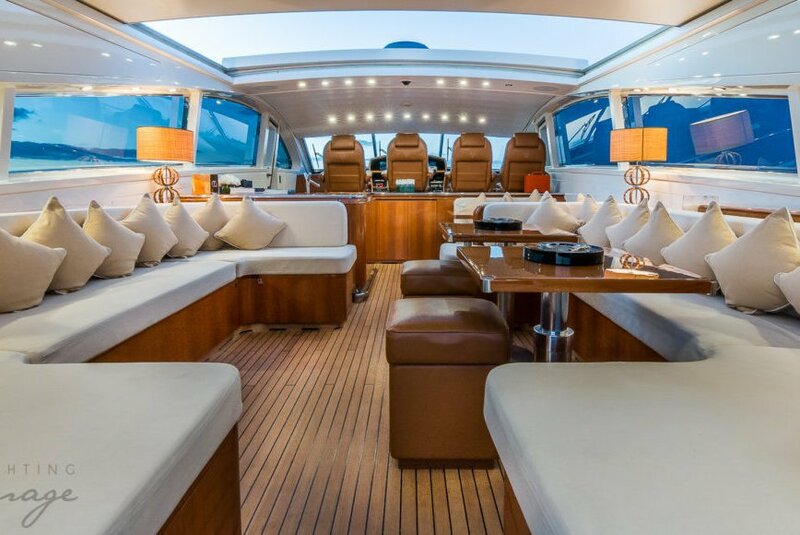 With a superb layout for family charters, her beautiful interior is flooded with natural daylight and is light and airy throughout. Pale coloured soft furnishings and light woods blend seamlessly to create a relaxed ambience. The main salon and dining area, which is arranged with three seating areas, is the perfect place for a morning coffee or as a location for an early evening aperitif. 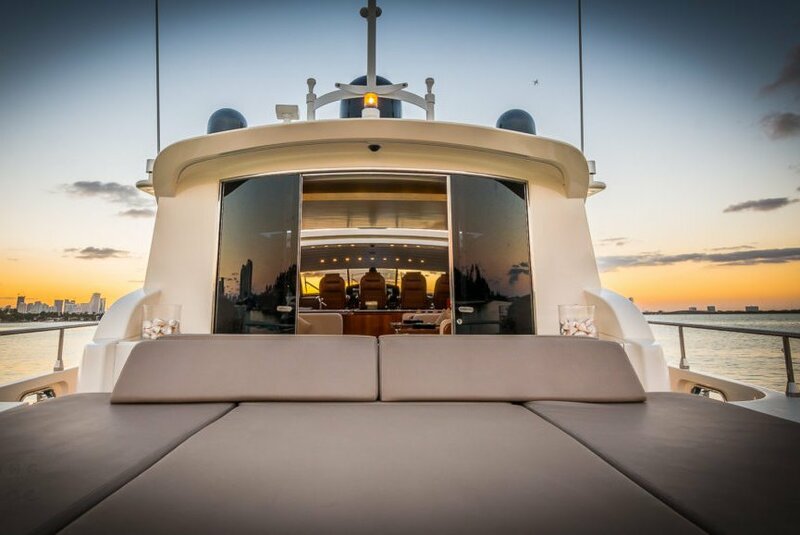 With an electric sliding roof opening the seating areas to the elements, and glass sliding doors leading to the main deck aft, the area has been designed to seamlessly bring the outside in. ZEN’s guest accommodation comfortably sleeps up to seven guests in three cabins, comprising a master suite with a queen size bed, a VIP cabin, again with a queen size bed, and a twin cabin with a Pullman berth, which is ideal for children. 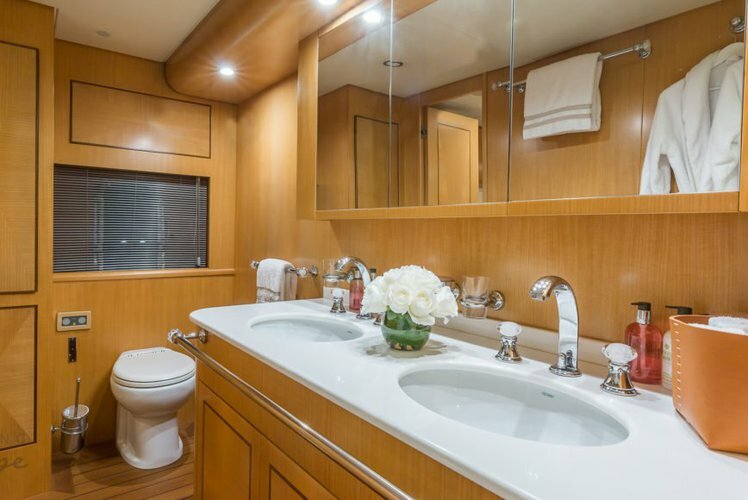 All guest cabins are located on the lower deck and have their own en suites. Adjacent to the master suite is a further salon with sofas and armchairs and an entertainment centre. This area is ideal for use as a separate children’s area, or as a cosy retreat for adults. 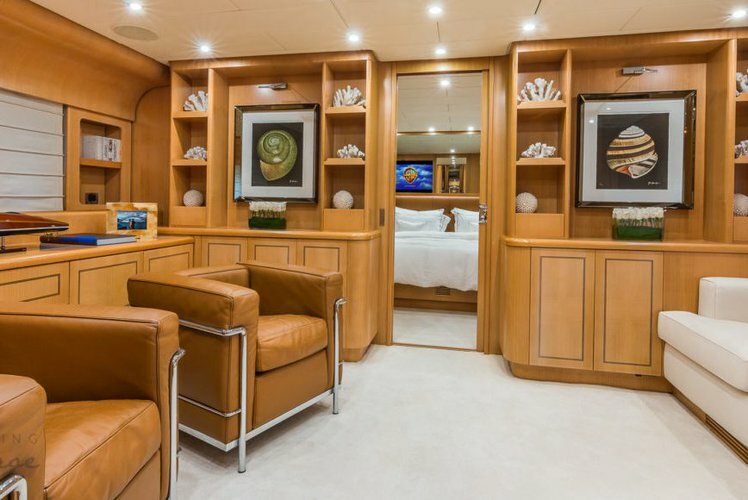 Out on deck the spacious areas have been designed for total relaxation with an island sunbed and an electrically operated table insert on the main deck aft, and a further sunbathing area with large sunpads on the foredeck. Both areas can be sheltered from the sun by a folding Bimini top. Stairs lead from the main deck aft to a teak swim platform that is ideal for launching ZEN’s many water toys, including SeaBobs, jet surf and waterskis, along with more sedate equipment including fishing gear, diving equipment (rendezvous diving only) and snorkeling equipment. 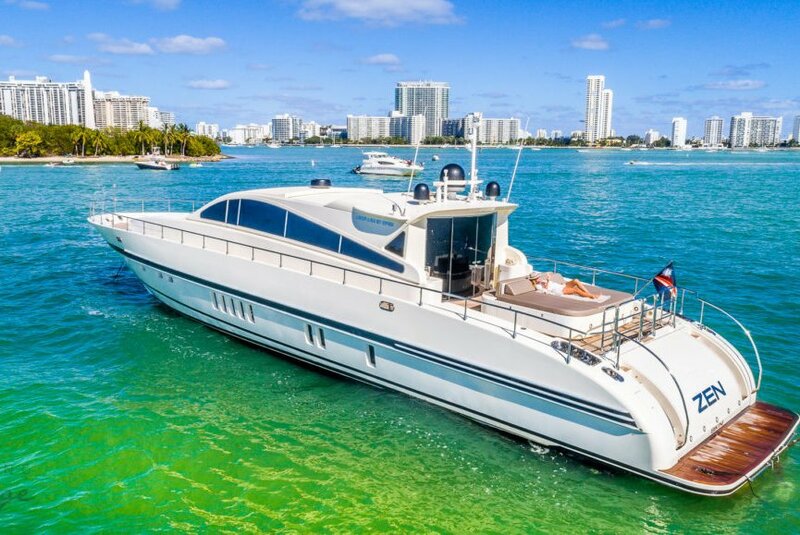 For 10 years my company has been Miami’s premiere yacht chartering company. Whether you would like to charter one of our many luxury cruisers or buy your own, we provide the best service, regardless of your budget. We listen to your requests and act upon them to exceed your expectations. All of our well maintained yachts include a captain and professional crew, all of which are are trained and experienced in providing world class service. We offer a full range of food and beverage options including custom catering requests from local restaurants including Epicure Gourmet Market, Il Mulino, Joe’s Stone Crab, Seventeen and Sushi Samba. We have partnerships with many local watersports companies to provide additional activities from jet skis and AcquaJet to paddle boarding, snorkeling and scuba diving. With boat rentals departing from Miami and Miami Beach, you can travel anywhere in the Caribbean with our term-charters: Bimini, Nassau, Key West and the Bahamas – select your destination then let us provide the logistics and support for your ultimate comfort and enjoyment. Seasoned traveller or first timer – all are invited to contact me to learn more about good times yachting on south Florida waters. Our friendly team members are available 24 hours a day to attend to your every need and inquiry while providing the highest standard of service uniquely crafted to each individual guest. We operate with transparency and fairness, which separates us from other charter companies.